Olivier Dunant was born in 1946, in Sevenoaks, Kent, England. He is a graduate of the University of Geneva Law School (lic. iur, 1969) and of the Southern Methodist University Law School (Master in Comparative Law, 1973). Olivier Dunant joined Borel & Barbey in Geneva (1974) as an associate and has been a partner of the firm since 1980. Borel & Barbey is a law firm based in Geneva, Switzerland, founded in 1907. Olivier Dunant is a member of the Board of Directors of the Southern Methodist Law School (Dallas, Texas). He is also member of the Geneva Business Law Association, the Swiss Lawyers Federation, the Geneva Bar Association and the Suisse Romande Branch of the Society of Trust and Estate Practitioners (STEP). 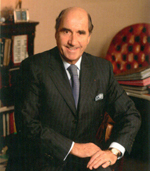 Olivier Dunant is General Honorary Consul of Norway since 1986. Olivier Dunant focuses his practice on banking, finance and securities law, commercial and business law, corporate law, mergers & acquisitions, trusts & estates and international taxation. 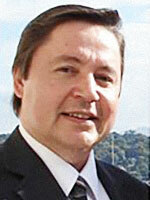 He is the legal counsel and trustee of families living in the United States and in Europe. He is a board member or trustee of several charitable or philanthropic organisations, including the Ludwig Institute for Cancer Research. He is also member of the board of directors of Swiss and foreign finance and banking organizations. Jean-Daniel Baki was born in 1960 and since then, has always been living in the Geneva Leman Lac area. Initially graduated from the French Grenoble Academy, he has over 35 years of diversified accounting and management background. He acquired his international experience by serving large corporations as Ralston Purina and Union Carbide. Then he has been in charge of various Foundations acting as CFO and Board Member. He has today a solid knowledge of the nonprofit organizations philosophy and spirit. He has been also elected by the Geneva Canton to serve as government representative for young financial and accounting apprentices. Jean-Daniel Baki has been married for 33 years, has three children and three grandchildren. Jean-Marie Hainaut was born in 1967 in Geneva. He graduated from the Geneva University, in Law in 1989, and in Economics in 1992. He passed the bar exam in Geneva in 1994. 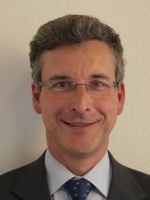 He joined Arthur Andersen in Geneva in 1994 and worked there until 1999 as tax advisor for corporations and individuals. In 1998, he obtained the diploma of Swiss certified tax expert. In 1999, Jean-Marie Hainaut started with Lombard Odier & Cie, private bankers in Geneva. He has been leading the tax and legal consulting department for private clients until now. He is predominantly working for an international clientele and focuses on the wealth transmission and structuring. In this context, he has been advising several Swiss and non-Swiss clients willing to implement a personnalized charitable project. He currently works with Ernst & Young SA - Partner - Tax Services. Jean-Marie Hainaut is exercising the function of assessor judge for the Geneva First Instance Administrative Court in fiscal matters. He is member of the International Fiscal Association. He is regularly lecturing at the Swiss tax academy.